Despite being busy with a few other things at the moment, I’ve managed to put together the first in what may or may not become a series (!) 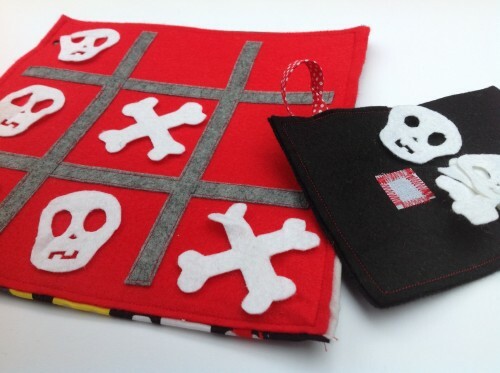 of Quick Makes – Pirate Tic Tac Toe or Noughts and Crosses. I made this for a ‘Quiet Book’ but you could easily make a bigger pouch and fold the board up as well; great for taking in the car or to restaurants and keeping kids/ grown-ups entertained. Happy making!